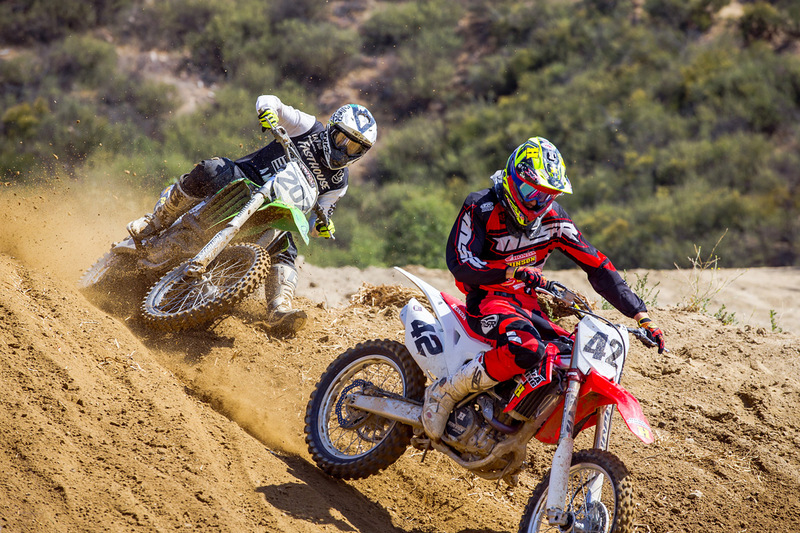 This past weekend marked the third annual FMF California Classic, bringing together the top amateur racers in the country for three days of competition on one of Southern California’s most recognizable, yet brutal tracks—Glen Helen Raceway in San Bernardino, California. 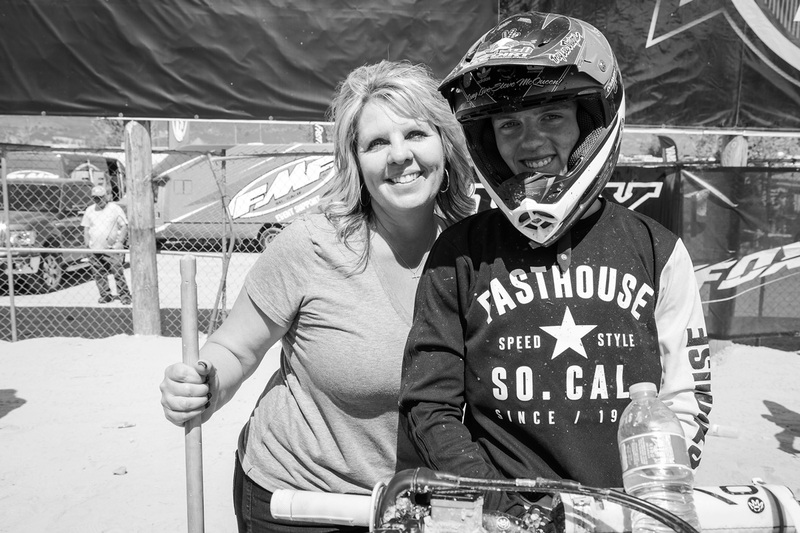 Numerous riders and their families converged on the track, and the Fasthouse crew joined in on the fun, not only racing in the Cal Classic, but also lining up in the weekly REM races held on the hilly REM track just behind the main track. 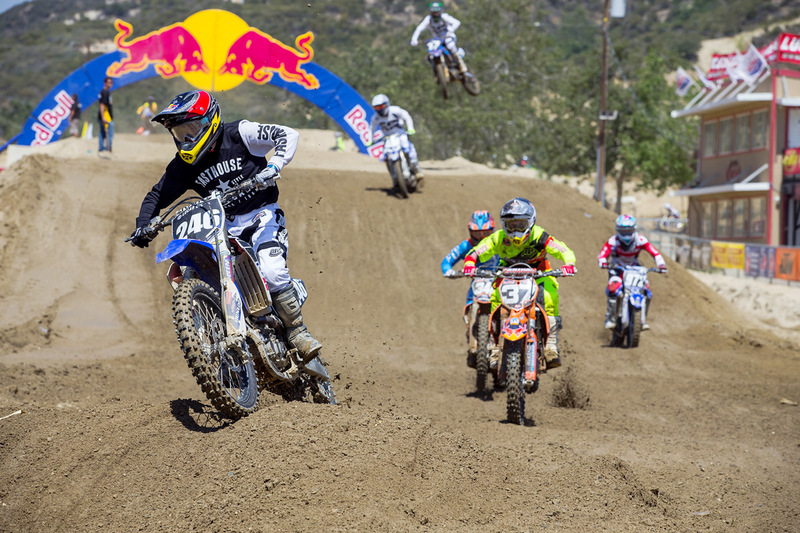 Fasthouse’s own Sean Collier was one rider who did double duty, missing REM practice to compete in the stacked 450 Pro Sport class in the Cal Classic. And as he always does, Sean kept a light-hearted carefree attitude even among the super-serious amateur racers of the Cal Classic. 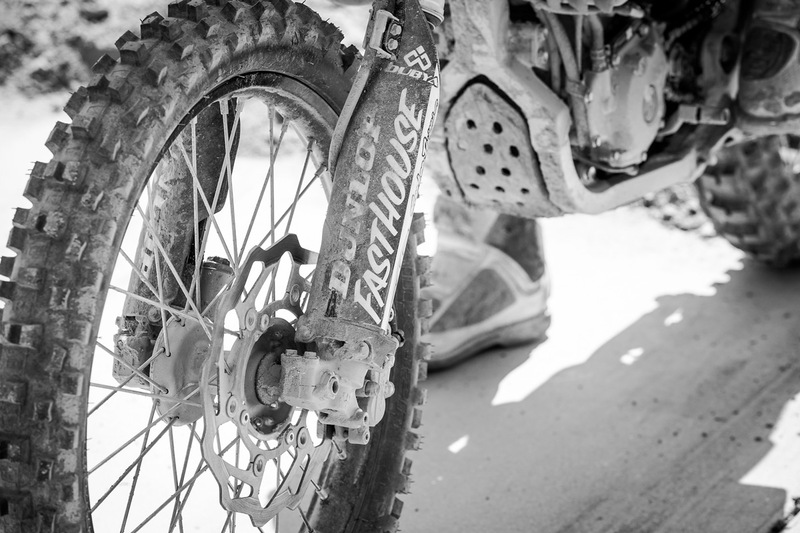 Hindered by a poor start in the 450 Pro Sport moto, Sean was forced to climb through the field, eating roost and rocks on the unforgiving Glen Helen course. 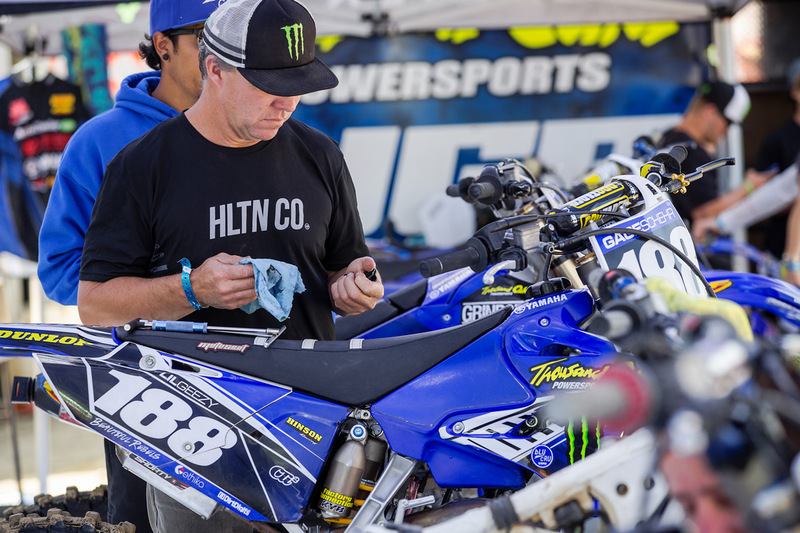 When the checkered flag flew, Sean crossed the line sixth, and returned to the pits to get ready for two motos on the REM track. 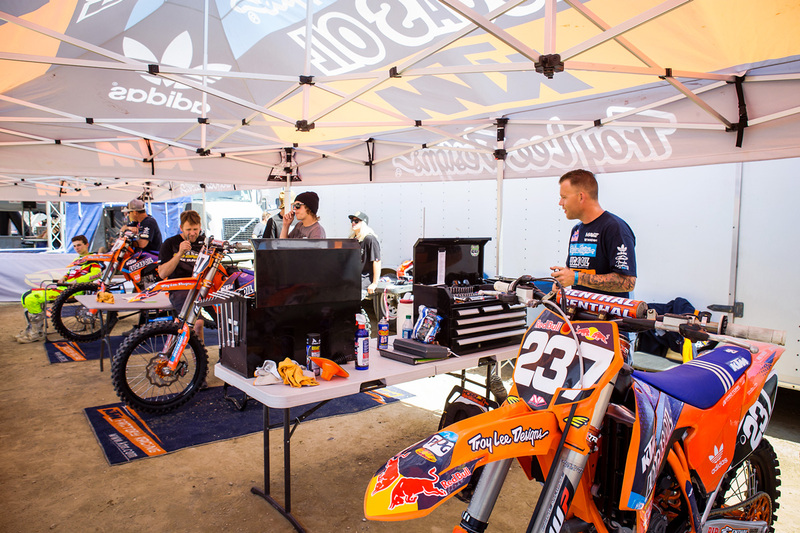 Due to missing practice, Sean tucked in behind Justin Jones in the first REM moto, learning the track before making his move after a heated battle with the second-generation racer. Sean ultimately took the win. 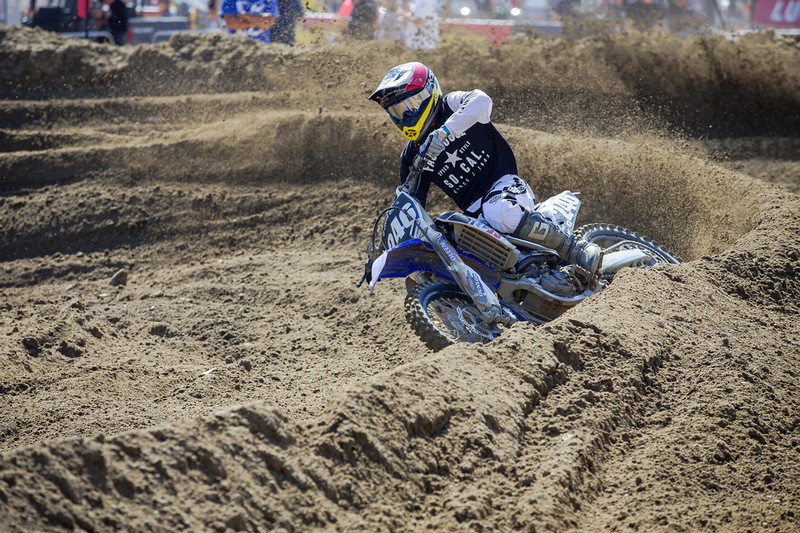 After a brief break, “Blue” Collier returned for the second moto and rocketed out to an early lead. 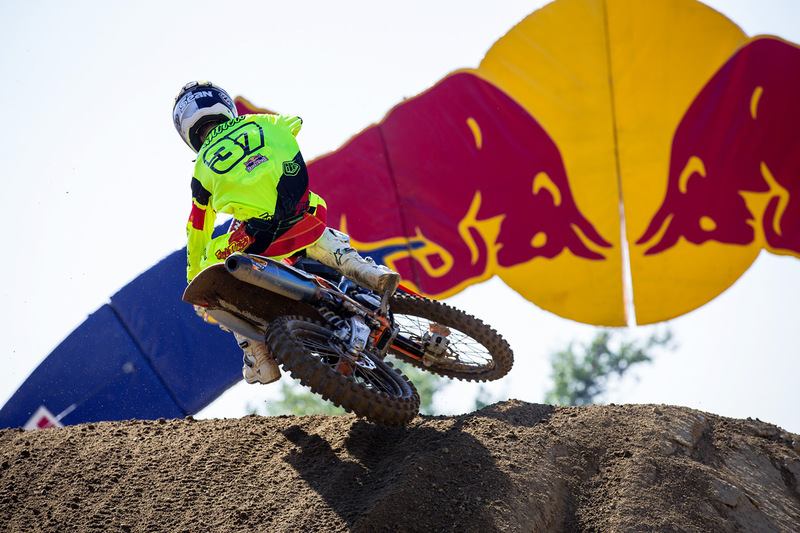 After opening up a gap over Jones, Sean ultimately took the win by roughly five seconds. 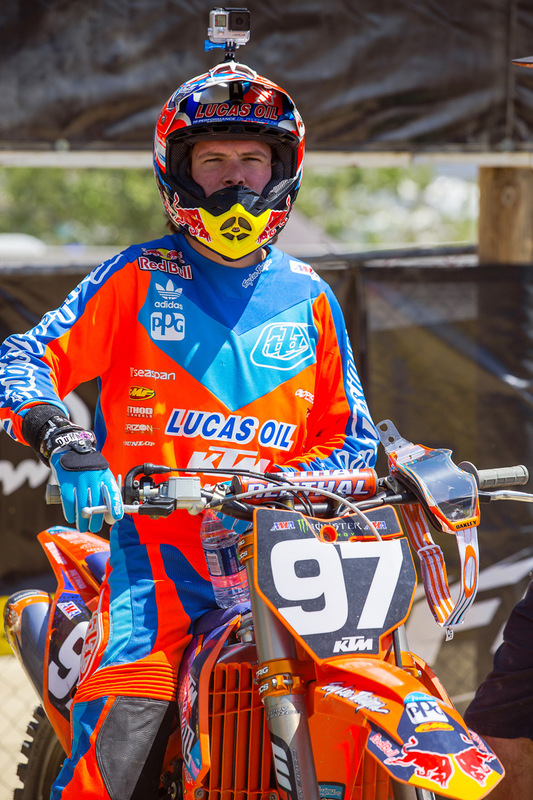 One of the standout Fasthouse riders of the weekend was Lil’ Will Simons, who notched some of the best finishes of his young amateur career. 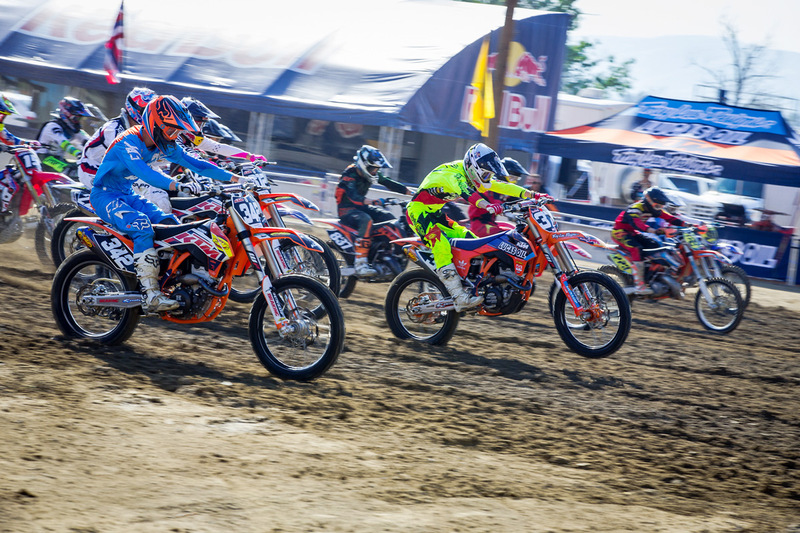 Throughout the weekend, Will was at the front of the pack in all of his Cal Classic motos, even against the more powerful 450cc machines. 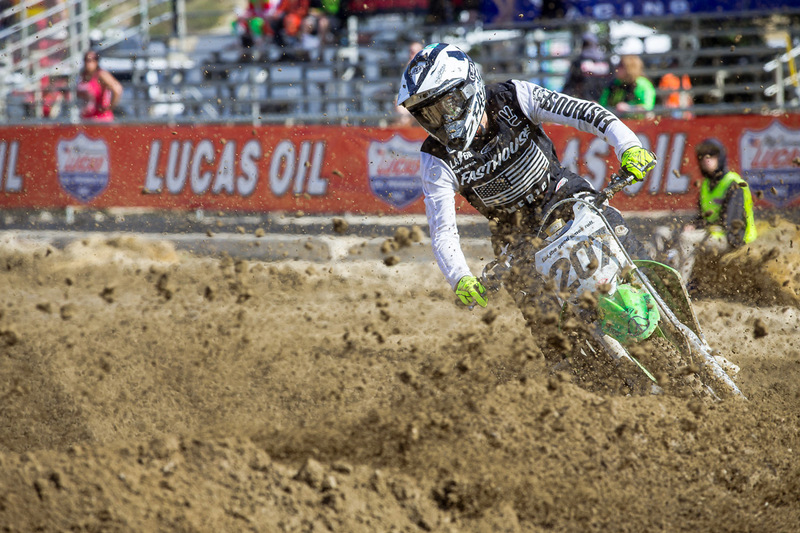 When the dust settled, Lil’ Will took home three holeshot awards, a second overall in Open B, fifth overall in 250 B, and a fifth overall in 450 B. And while Lil’ Will was racing on the main track, his dad Will Senior was competing on the REM track, and as he usually does, he notched a win in the 50-Elite class. Family, friends, and good times were three keys to the weekend for our crew. Racing is always fun, but getting to hang out with friends at the track and witness the future of the sport compete on one of the top tracks in California made for one of the best weekends in recent memory. 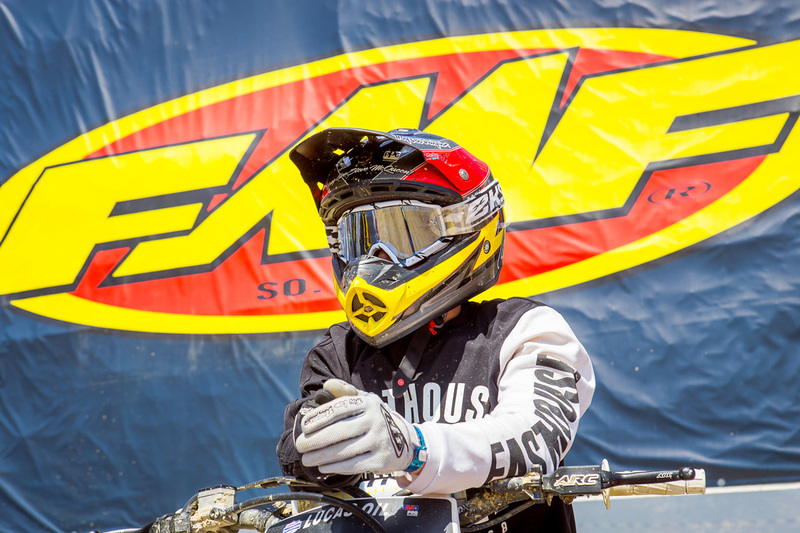 Here at Fasthouse, we’re all about having fun, and we definitely did at the FMF California Classic. Lil' Will Simons waiting for the gate to drop. Stuntman Mic Rodgers raced REM while all the kids competed in the Cal Classic. 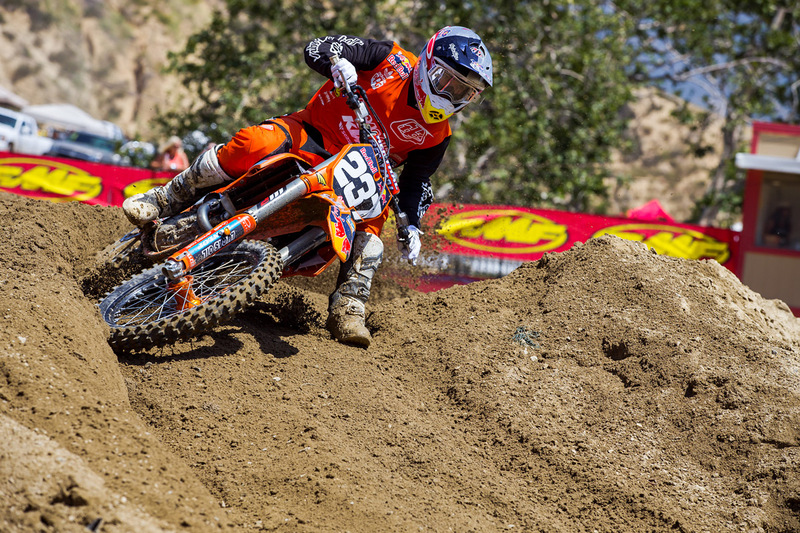 Sean Collier had to eat roost and come from behind in the 450 Pro Sport class. He finished sixth. 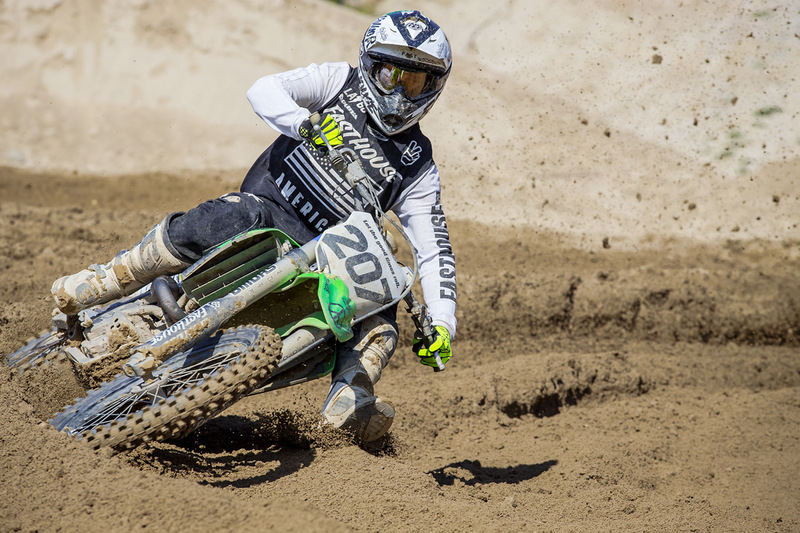 The top amateur racers in the country competed at the FMF California Classic. 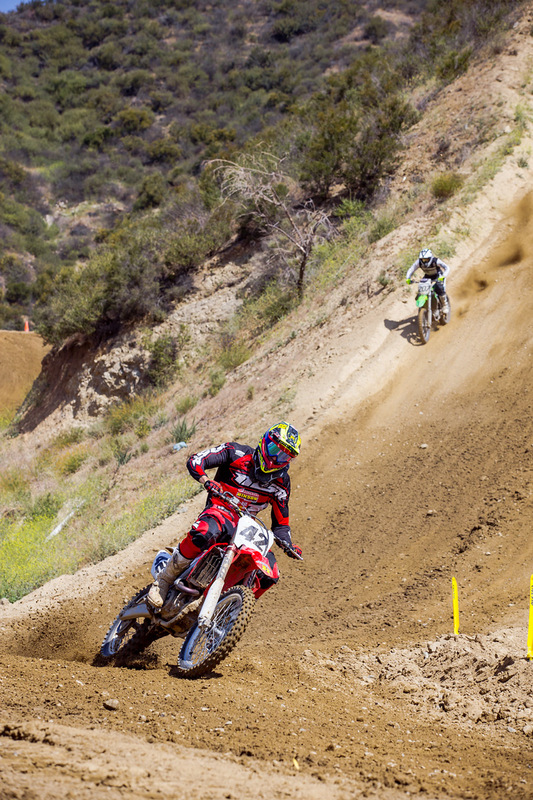 Justin Jones and Collier had some great battles during their REM motos. 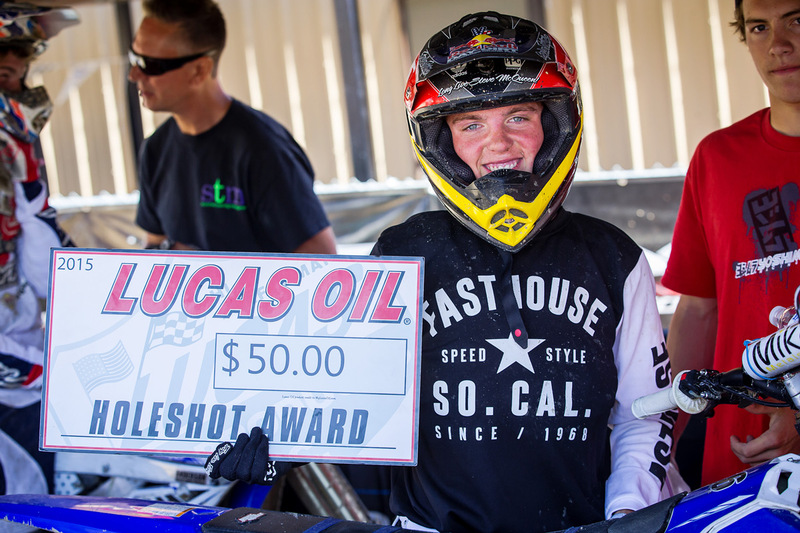 Lil' Will took home three of these holeshot awards. 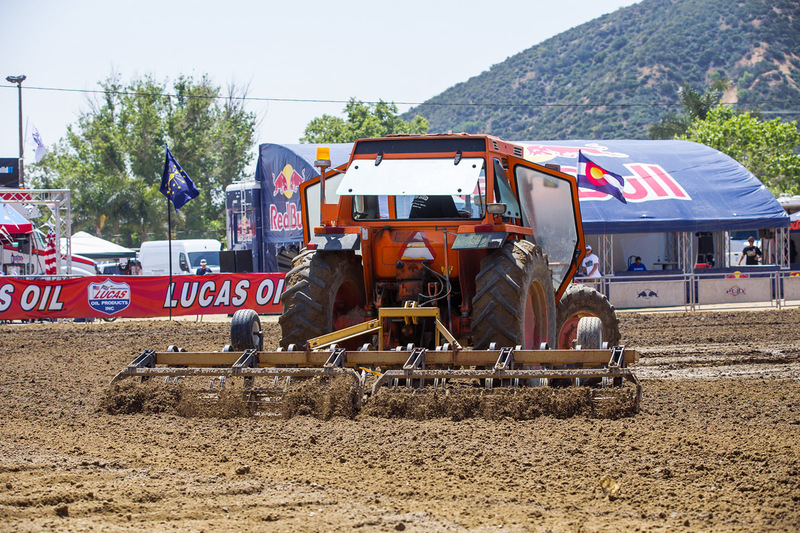 The track crew kept the track prepped to perfection throughout the weekend. 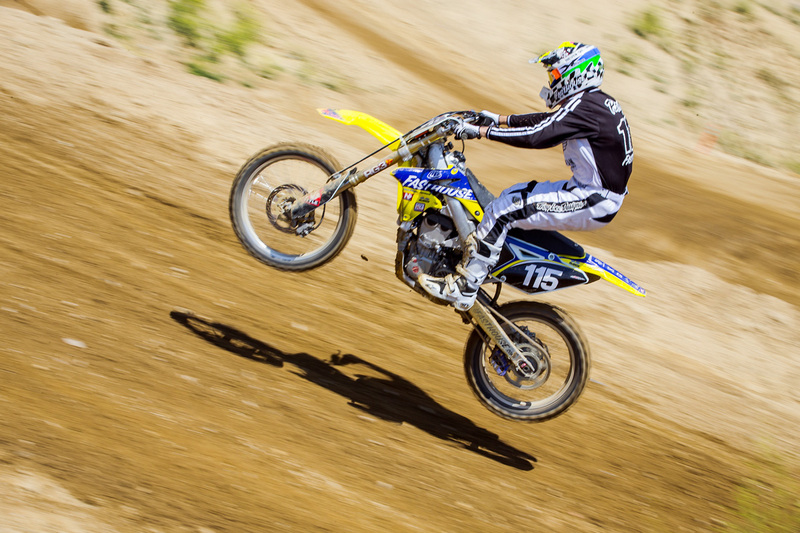 Justin Hoeft took home an emotional win in the 250 Pro Sport class, besting some very fast competition. 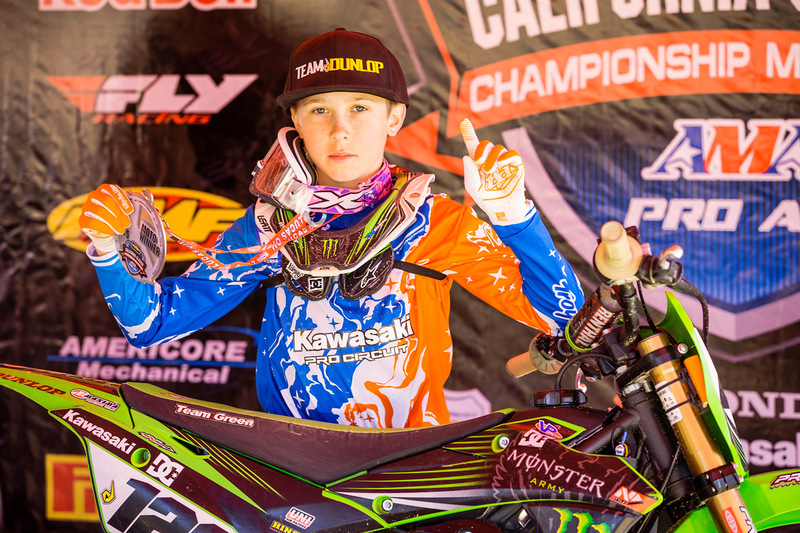 Will Simons following his first moto win in the 50-Elite class at REM. 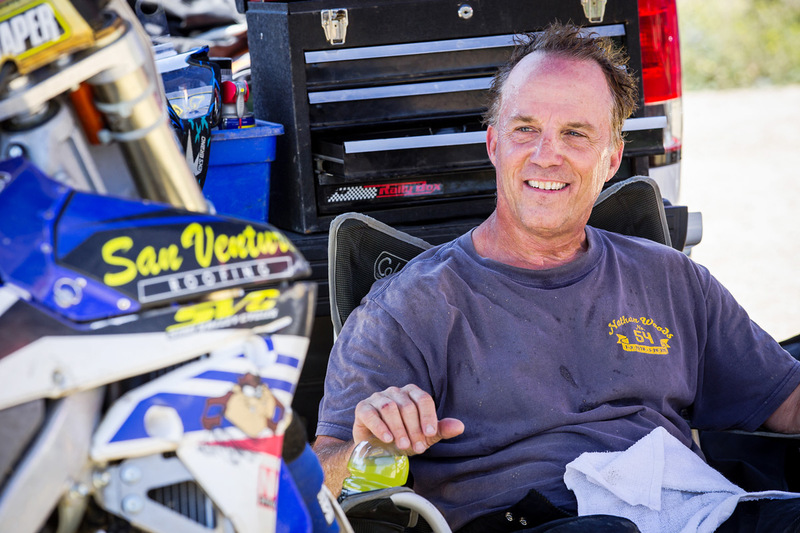 Thousand Oaks Powersports had a huge presence in the pits, providing support to team riders. 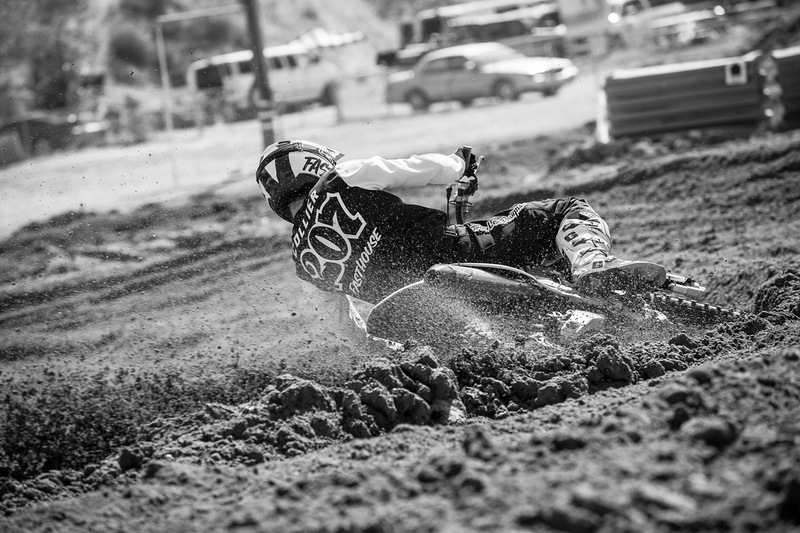 Collier digging into the deep Glen Helen loam during his Pro Sport moto. Against the more powerful 450 machines, Lil' Will put the power to the ground aboard his mostly stock YZ250F. 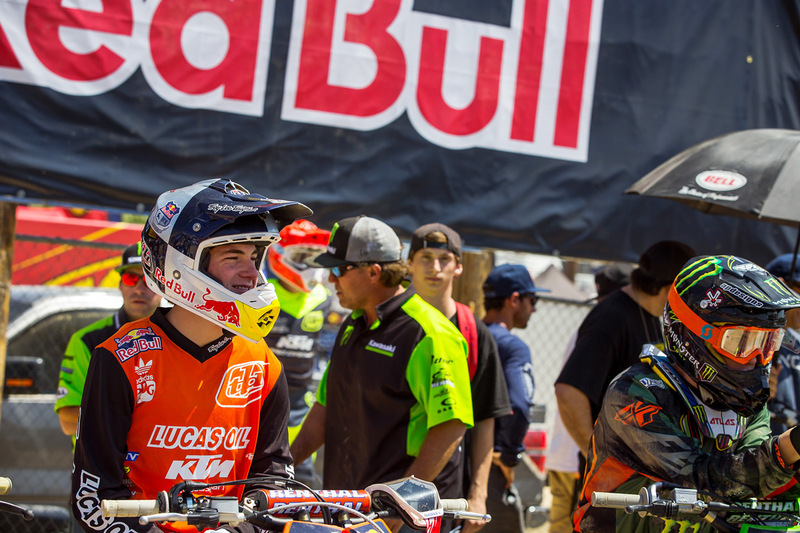 The Troy Lee Designs/Lucas Oils/Red Bull/KTM team had a contingent of riders competing in the Cal Classic. Justin Hoeft was all smiles on the line. 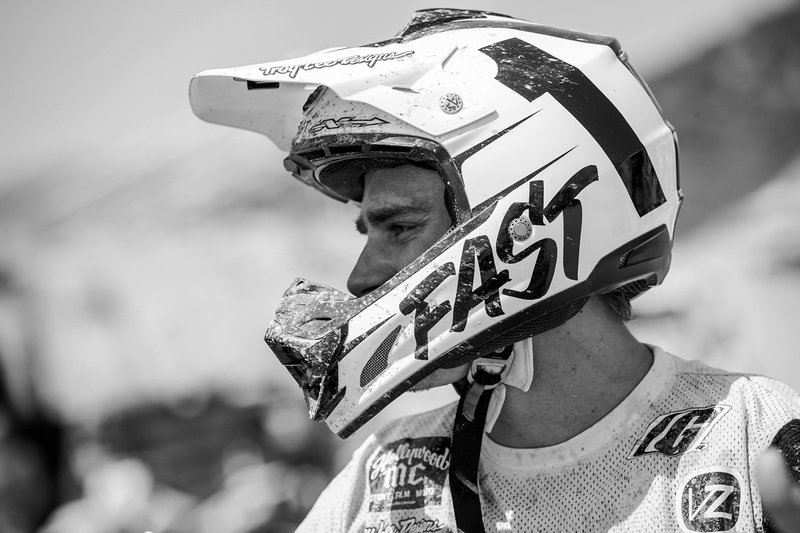 Sean Cantrell took home some wins over the weekend. 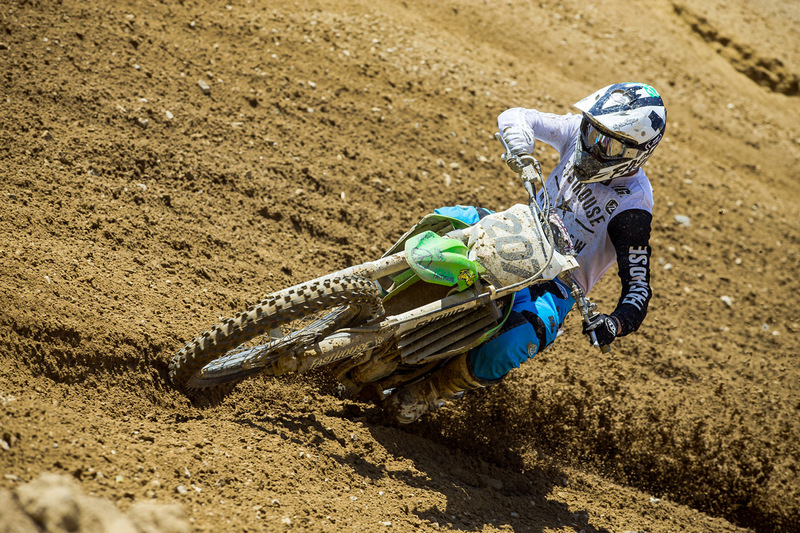 Young Kawasaki Team Green racer Carson Mumford was amoung the top 80cc riders. Collier during his second REM moto, his third moto of the day. Darryn Durham came out to the Cal Classic to get some racing in before the outdoor Nationals. Lil' Will's mom Tina helped sweep his gate while Will Sr raced REM. 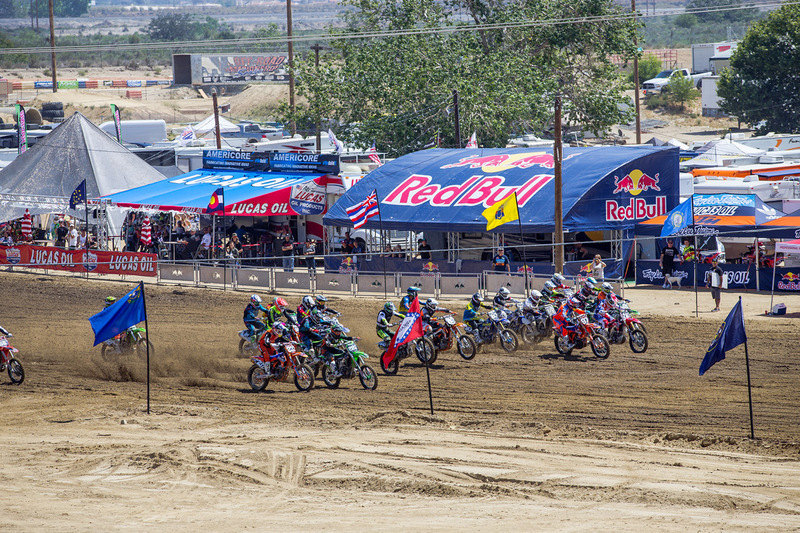 Lil' Will leading the pack of 250 B riders. Sean chasing Jones during their first REM moto. 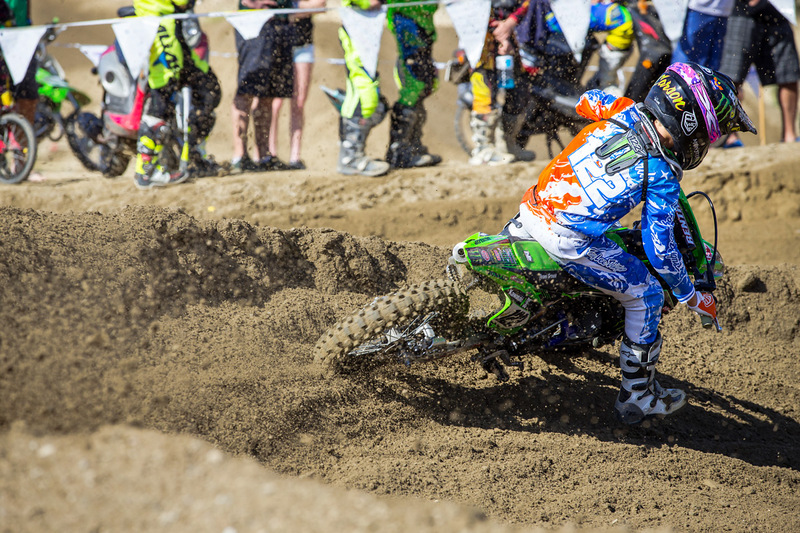 Mumford on his way to a moto victory.